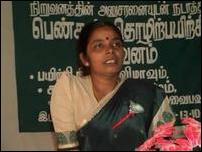 The CWDR's president, Mrs. Selvarani Semasekarapillai, presided over the function. 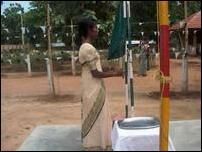 The Kilinochchi district political head of the women's wing of the Liberation Tigers of Tamil Eelam (LTTE), Ms. Poovizhi, lit the general flame of sacrifice, and the head of the women's political wing, Ms. Thamilini, hoisted the Tamil Eelam national flag. 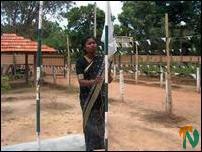 Ms. Sutharsini, the director of the CWDR, hoisted the CWDR's flag. 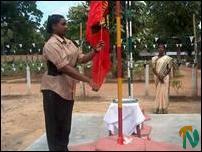 Ms. Vijitha, the director of the Job training division, hoisted her division's flag. 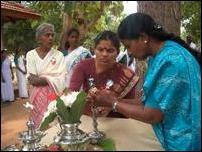 Well-known writer Ms. Athiluxmy Sivakumar and the deputy director of agriculture in Kilinochchi, Ms.Seethaluxmy Anandarajah, lit the traditional oil lamp. 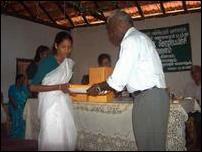 Kilinochchi zonal education director Mr. Ariyaratnam declared open the computer exhibition by cutting the ribbon. 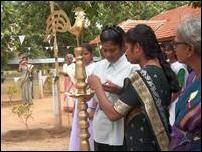 Ms. Sutharsini from Denmark declared open the Sewing exhibition. Mr. Pon. 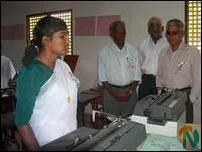 Nithiyanandan, the Karaichi divisional secretary, declared open the typewriter exhibition. 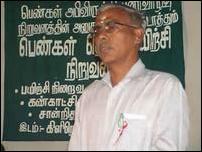 Mr. Jegatheeswaran, the deputy head of the CWDR, gave the welcome speech. 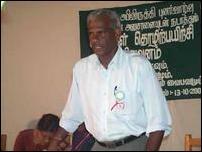 He explained the goals and plans of his organization. 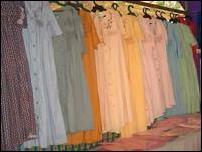 Mr. Pon. 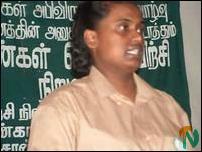 Nithiyanandan and Mr. Ariyaratnam in their speech wished the training every success. 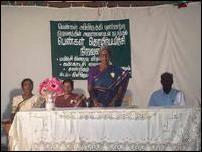 Ms. Sutharsini, the CWDR director, Ms. Thamilini, Mr. Nadarajah, Kilinochchi district coordinator of the Labor department, Ms. Shanthakumari, the deputy secretary of the Swiss-based Tamil womenâs organization, and Ms. Athiluxmy Sivakumar all gave guest speeches. 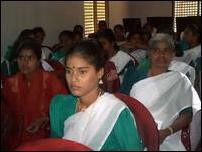 Most of the speakers emphasized the importance of self-reliance for women, and the potential of small businesses, without depending on the Sri Lankan government for jobs. 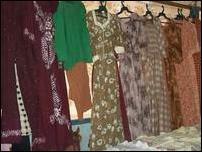 They said that the people should develop dignity of labor, and be prepared to work on their jobs with sincerity and commitment to improve economic standards. 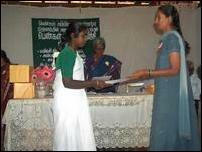 Certificates were granted for participants in computer training, sewing training, typewriting and typewriter repair training. 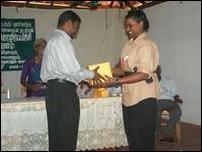 The instructors who trained the trainees were also honored with prizes. 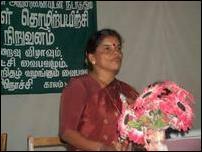 Ms. Sarojadevy Kugarajah, the secretary of the CWDR's job training division, proposed the vote of thanks, and the function was concluded at about 1 p.m.